We carefully crafted the headline for this piece using an online headline generator, because all the content creators who read articles about how to produce winning content do. According to a study by Buffer, 19% of articles that go viral have numbers in the headline: and I want more clicks than if I had just written “Clickbait is a bad idea for so many reasons.” Further, everyone agrees: listicles are great. They make content more digestible. But if you’re going to spend time producing content for your business, or your blog, or your new platform that’s set to swallow last year’s platform (according to venture capitalists), or – for a client – wouldn’t it be great if that content … built trust between your reader and yourself? added value / new information for a public swimming in shallow, useless information? Showcased your genius, while establishing credibility and authority? And improved your search engine results so that people actually find the stuff you’re writing, so your time and energy producing it were not spent in vain? Some people are even arguing that we’ve reached “Peak Content” – that the glut of content everywhere is going to have to decrease at some point – because it isn’t sustainable. We’d agree. Content calendars filled to the brim with topic ideas lead to pressure to produce stuff all the time and time crunches and limited attention spans mean that a lot of content producers are producing — well, crappy content. And crappy content hurts your business more than no content at all. Click-bait generally as a term refers to sensational headlines, thumbnails and teaser copy that lead you to a website – and when you get there, there’s not much to see. Here we’re expanding that notion a bit to suggest that 300 word, hastily written “content” that regurgitates other people’s ideas is also clickbait, for two reasons: by adding nothing new to conversations and not digging deep enough into topics, this kind of content violates reader’s trust, and undermines the author’s credibility. Recently I clicked on a headline on the New York Times site entitled “The Deeper Meaning of Mexico’s Giant Speed Bumps.” Now, if you’ve ever been to Mexico, it’s true, the speed bumps can be baffling. They appear often in areas where there’s no immediate reason for speed bumps, like on a highway – imagine cruising along at 60 or 70 miles an hour only to suddenly hit the brakes to avoid speed bump vehicle damage – a hazard, more than a help. So this headline promised to solve the mystery: I was lured: I clicked. The article opens with a 15 second video (time optimized for short attention spans, and included because the internet says that no one even reads any more, and video has much higher engagement than text.) It was simply 15 seconds of video showing cars driving over a speed bump. The text, clocking in at 329 words long, was instead a rumination on the fact that speed bumps can damage cars (a photo partway through illustrated this point, with the picture of a speed bump all scratched up from the bottom of cars hitting it.) and the conclusion: nobody knows why they are there. 3. some words about how nobody knows anything about them. Now in the part of my imagination that wants to be fair, I believe the writer actually wrote a 2,000 word piece on the topic that included actual investigative journalism, interviews with transportation planning and public safety officials, delved into the history and social psychology of speed bumps, and had a totally different title when he turned it in, but the piece died a 1700 word death by the “Director of Content Strategy.” But who knows. The point is, if you promise something in a headline and don’t deliver it in your content, you’re going to break the trust of your reader, who expects you to represent yourself honestly. So if you’re going to use one of those online headline generators or spend a bunch of time optimizing your headline for optimum clicks — consider the content. And if your content adds or contains no useful information (like a 15 second video of cars driving over a speed bump on loop), you’re abusing the trust readers gave you when they visited your content. Do I still read the New York Times? Yes, because I know their content generally does deliver. But if this happened on a small company’s website or blog you can bet I’m actively avoiding their content in the future, because they’ve destroyed their credibility with bad content & wasted the reader’s time. 1. Your poor content will be filtered out by Facebook before anyone sees it. In 2014, Facebook adjusted its algorithm specifically to weed out clickbait articles and keep them out of people’s Facebook feeds. Here’s how it works: When an article is posted to a new speed Facebook specifically looked at the behaviors people take on that article. If they click a link and then go straight back to Facebook, Facebook interprets that content as being something that people didn’t really want to see. The algorithm also considers the ratio of people clicking on the content and compares it to whether or not people discuss it and share with their friends. The idea is if a lot of people look at it but not many people comment on it or share it, it must not be very useful – and removes it from people’s timelines. The results? No one, or very few people, see that content that you spend time creating. And just last month, Facebook announced it was fine tuning this feature even more, announcing that it would begin to prioritize posts shared by friends and family even more than posts from publishers, brand, and other pages. Research by SocialFlow earlier in 2016 found that publisher stories reach on Facebook had dropped by 42%. So if you’re not producing genuinely useful content that people want to share, is it worth it to produce content at all? 2. Google will demote your site in search rankings if it has a bunch of 200 word articles that don’t say anything new. Your search results for articles, and websites more broadly, are highly dependent on what Google terms quality. This is the same for individual article performance in google, and website search rankings overall. Average word count on the pages ! 3. The Length of Your Content Matters Enormously, because depth and length go together. 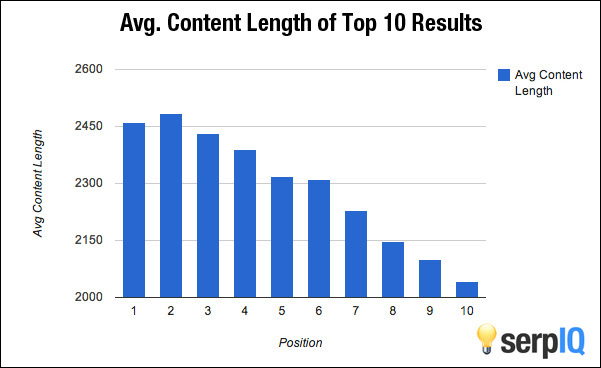 According to Serpiq, the average content length of pages that are in the top 10 search results are all above 2000 words. Because google values quality – and careful, considered content tends to be longer than 200 word regurgitations of other people’s ideas. And you know this from your own browsing activity. A longer article brings the possibility of actual information. 4. Clickbait has its origins in ad revenue. Does your business depend on ad revenue? If your business model depends on ad revenue, well…I feel bad for you son. I’ve got 99 problems but ad revenue ain’t one. One of the primary reasons for click-baiting is a business model built on ad revenue. In the media empire of old, advertising dollars kept publishers afloat (and still do). The more traffic a website has, the higher numbers of readers they can claim (regardless of whether or not readers consume the media), and the more they can charge for advertising. More readers, more money. (If advertisers were smart they’d be looking at time on site and bounce rates, but that’s another conversation). Let’s pause for a moment. Does this model apply to you? As Sarah Peterson excellently outlines here, ad revenue as a business model is not a good business strategy for bloggers – and we’d argue, any smaller content producer. Blog ads don’t pay well, they distract your readers from your content, and sell out your readers for pennies, among other reasons. And if you’re a business, do you want to drive your readers away from your website by advertising someone else’s business? Probably not – so you’re probably not doing it. So let’s not make a product (clickbait) that, while ubiquitous, derives from a business model (ad revenue) that doesn’t apply to anything you’re trying to do. That’s like buying a clown suit to wear to a job interview at a bank. There are those marketers out there that will tell you that just because the information exists on the Internet that doesn’t mean that your readers in your business niche know about it, if it’s been written about in a different niche or business context – and therefore you can regurgitate other people’s information to your hearts content. While this may be true, you still need to add value to the conversation overall if you want people to be able to find it in search results and/or have your work be the authoritative on the topic. If your work does not satisfy the basic information on the needs of your readers, they’re going to have to go find somewhere else to answer their questions about the topic that you’re writing about. And you’ve not established your authority. Don’t regurgitate other people’s content: it looks like you don’t have your own ideas. Sure, there are hot topics that have already been written about and which you can as well. But you need to be deepening the conversation and adding value, not just re-spinning someone else’s information. Why should people listen to what you have to say if you don’t have anything to say? Add to the conversation. 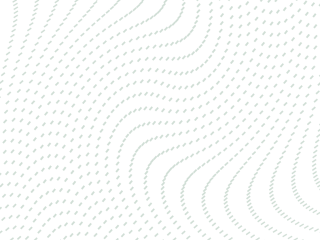 Here at Medium & Message, we’ve read hundreds of articles on how to optimize for conversions. Why would someone read that many articles on the same topic? To find new information that is useful. If it’s not useful, the person is leaving your site and they’re not coming back. When you create useful things and you establish authority, and people will want to read what you have to say in the future because you’ve already helped them with something in the past. Isaac Newton said, “If I have seen further than others, it is by standing upon the shoulders of giants.” He used other people’s knowledge as the basis of his own – and then built upon it to form new ideas. Your content should do the same. 6. Producing good content establishes authority. Authority you can turn into more opportunities. Establishing authority by giving people useful, actionable, and original information positions yourself to answer more questions, solve client problems, even speak on a topic — all because you bothered to do a little more work than other people. Think invitations to guest post, helping a client realize you’re the one who can solve their problems because you’ve demonstrated a deep understanding, etc. Remember, just because you have something on your content calendar doesn’t mean you have to produce it – 300 words of regurgitated bad content is worse than no content. Do it well or don’t do it at all. There are plenty of content creators who are stars in their fields who manage to generate a ton of traffic and business off of one excruciatingly well researched and executed blog post a month, such as Brian Dean of Backlinko. Content is about information and showcasing your genius. Add value to a public swimming in shallow information. Meaty, substantive, information-rich content that offers a new take on an idea and provides value to the reader is the content we’re all starving for. So (as I promised in the headline about a reason why you should keep producing clickbait) if you want your content filtered out of facebook, you want your article / site to be demoted in search engine results, and you want to decrease your credibility, carry on. I just want to tell you that I’m beginner to weblog and seriously loved your website. Kudos for sharing this information.